We enter the final day of the 2014 Coffee Spot Awards shortlists with the “Best Breakfast” Award, which in 2013 went to The Bristolian. Along with cake, breakfast has a special place in my heart. The only slight snag is that I rarely get up and out of the house early enough to get to places before they stop serving breakfast, so they don’t feature on the Coffee Spot as often as I would like! That said, I still managed to get up early enough to generate a healthy shortlist this year, helped by those wonderful places that serve all-day breakfasts! There are nine Coffee Spots on the shortlist this year, all listed in order of publication. This is really a 3-in-1 nomination for all thee branches of the Boston Tea Party, where I always have the Eggs Florentine for breakfast or brunch. Yes, I know there are other things on the menu! 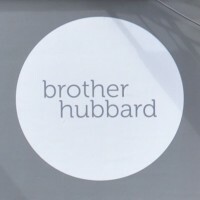 The Whiteladies Road branch was shortlisted for Best Basement and the Birmingham branch for Best Physical Space. This lovely, family-run café down in Lymington in the New Forest serves up an excellent all-day vegetarian breakfast (I had mine at three o’clock) as well as some great cake. Lemana Café was also shortlised for the Best Outdoor Seating Award. 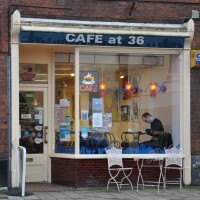 Best described as a neighbourhood greasy spoon with excellent coffee, Exeter’s friendly, neighbourhood Café at 36 is definitely worth a visit for the food, the cake or for the coffee (or any combination of the three). This was another place where I had an all-day vegetarian breakfast at three o’clock! Quite where I’d be with the all-day breakfast, I really don’t know. London chain, The Breakfast Club, is a legend, but since it always has queues around the block at all its branches, I never manage to get in. 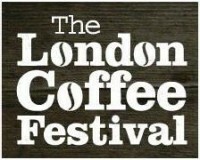 So, when I saw it had a stand at the London Coffee Festival, I wasn’t going to miss out. I am relieved to say that I wasn’t disappointed either! Dublin’s Brother Hubbard is as much about the food as it is about the coffee, if not more so (although Brother Hubbard may disagree).The food is inventive, with a Middle-eastern twist, and the menu changes on a seasonal basis.I had the amusingly-named “Breakfast of Champignons”, two poached eggs and baked mushrooms in a creamy, blue cheese sauce on sourdough toast, with spinach, tomatoes and caramelised onions. Jany’s, in Philadelphia, is an old-fashioned American diner of the type that I adore. Serving typical diner fare (ie good quality comfort food), the food is both excellent and extremely good value for money. I had two eggs (poached), home fries and toast, plus a side of two hot cakes and a mug of coffee. Birmingham‘s Saint Kitchen has excellent coffee and even better food. I had the field mushroom soufflé muffin, plus some farmhouse buttery toast, which was beautifully presented on a pair of wooden platters that looked like slices of a log. The good news is that it tasted even better than it looked! Another where the coffee is excellent and the food even better, I had the interestingly-named “surprisingly fine vegetarian sausage sandwich” from the all-day breakfast menu from Mrs Atha’s in Leeds. It was indeed very fine. Mrs Atha’s was also shortlisted for the Best Basement Award. 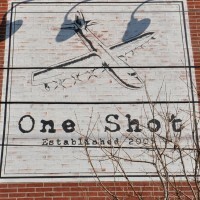 Philadelphia‘s One Shot is a lovely spot, best known for its food and, as a result, a very popular brunch spot. I went there with Greg of Coffee Guru App fame for Sunday brunch. I settled on grilled goat’s cheese, tomatoes and greens on bread, which I paired with a flat white and a (American) biscuit on the side (for the uninitiated, this is similar to a British scone, a point proved somewhat by the healthy serving of jam that came with it). A special mention has to go to the following fine purveyors of breakfast. Vauxhall’s Tea House Theatre, where I had a very fine breakfast on my first visit, Laynes Espresso, New Station Street in Leeds, which kick-started my day with excellent toast and a flat white two days running, Manchester‘s Pot Kettle Black, serving up some awesome porridge, and Leith‘s Printworks Coffee, home of some amazing breakfast baps.